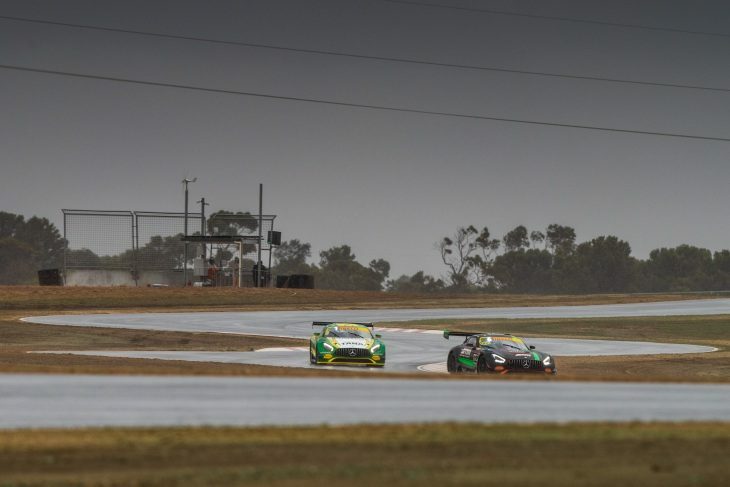 This weekend’s Australian GT Championship round at brand new circuit, The Bend Motorsport Park, has been pushed back to Sunday, after adverse weather conditions reduced the visibility trackside too much to hold the race on Saturday afternoon. 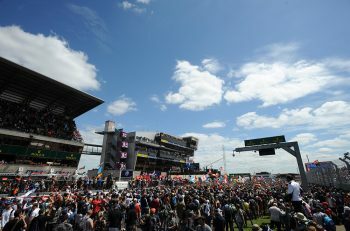 In addition to the change in schedule, for the two-hour, forty-minute race, the runners and riders will compete on the shorter International layout of the new circuit too. 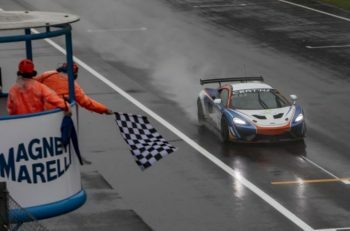 “At 4.95km instead of 7.77km, the International circuit has been less impacted by the extreme weather situations, and allows for a greater concentration of track officials,” said Collier. “This decision has not been taken lightly, and comes after careful consideration and consultation with CAMS and the GT Commission. A practice session this afternoon will afford teams an opportunity to become familiar with the alternate circuit configuration before tomorrow’s race, which as it stands, has official start time. Results from qualifying will stand and determine the grid. The WM Waste Management Mercedes of Max Twigg and Tony D’Alberto will start from pole.